Cushion Halo Platinum Engagement Ring with Pave-Set Diamonds | Shane Co. This charming halo engagement ring features 66 round diamonds, at approximately .31 carat total weight, that have been hand-selected and matched for maximum fire and sparkle. Set in superior quality platinum, this ring awaits the center 1.00 carat center diamond of your choice. 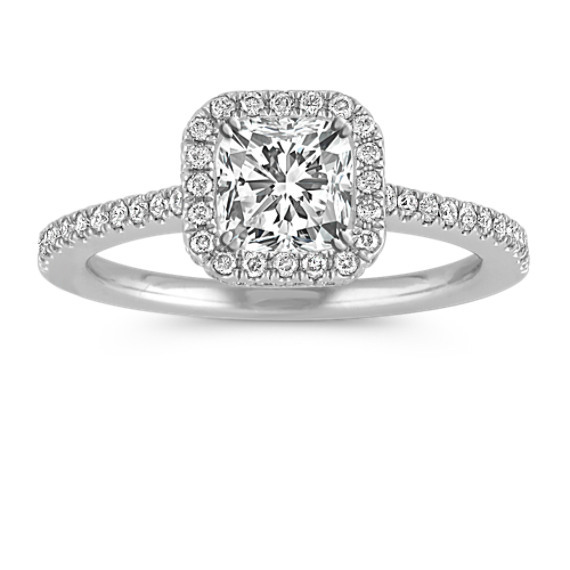 Popular choices of center diamond shape for this setting include princess cut, cushion cut, and round.